The Best Basement Systems and Foundation Repair Services Since 1984. 1-800-BUSYDOG Basement Technologies is your one-stop-shop for basement waterproofing, foundation and concrete repair products. We also specialize in radon mitigation, water damage cleanup, home remodeling and epoxy flooring. If mold, mildew, or indoor air quality is of concern, reach out to our friends at Work Dog Property Solutions. In our opinion, they are one of the best mold remediation companies in New England. One of the biggest concerns homeowners have is keeping their basement dry. 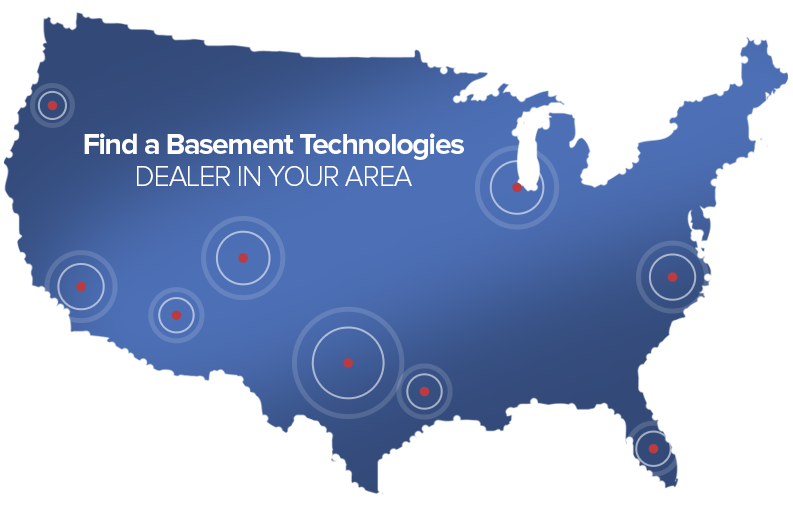 At Basement Technologies, we can provide all the services you need to ensure a dry basement. We provide a number of services to Boston, Massachusetts, area residents, including foundation piering, basement drainage systems, basement waterproofing, basement wall crack repair, foundation crack repair, and sump pumps. When you first build your home or realize your basement isn't where it should be in terms of protection against moisture, we can help you prepare to prevent a tragedy in the future. We specialize in basement drainage systems and basement waterproofing in Boston, Massachusetts, to ensure you don't have to deal with serious moisture issues in the future. We can also install and replace sump pumps to help funnel water away from the foundation of your home and help prevent flooding issues, particularly when larger amounts of rain fall or the snow begins to melt in the winter. Sometimes, no matter what you do, your basement may show signs of water damage for a number of reasons. When this happens, you can count on us to get your home back in structurally sound condition. Whether you need foundation piering to improve the overall structure, wall crack repair, or foundation crack repair, our Boston, Massachusetts, contractors are eager to help you implement the solution you need to ensure your home is safe and the issue won't happen again.